Just sharing some pics I snapped with my phone this week. 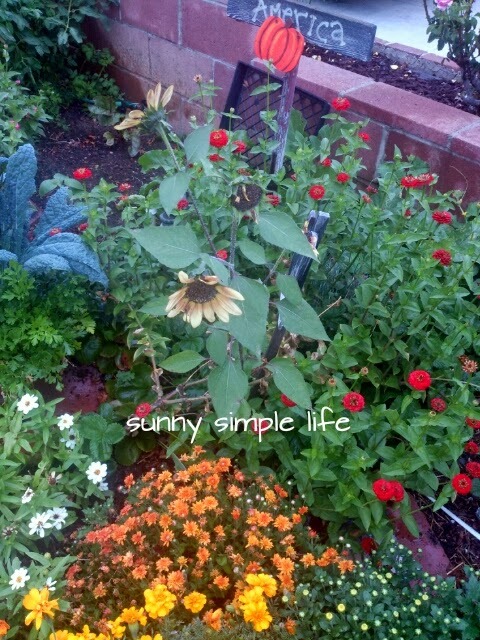 In October the garden awakes again from the summer heat. It is bursting with color right now. 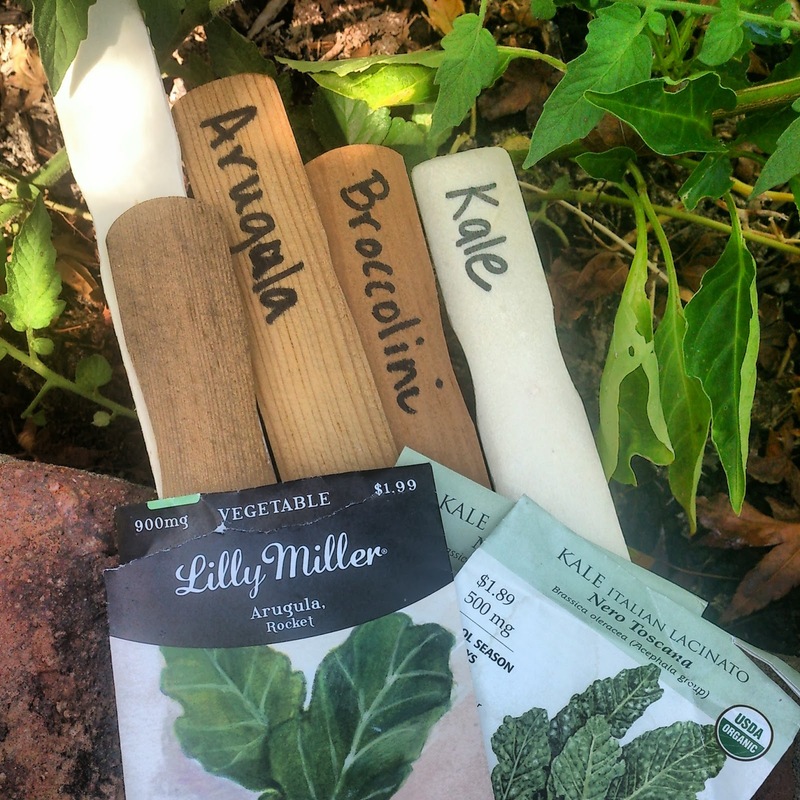 I gathered all my old paint sticks to make plant markers. Staggering the planting of tomato plants to a couple per month starting in March was the best thing I did. I tore out old plants and had new fresh ready to give me a steady supply of tomatoes. Still picking some everyday. Next year I will plant double the zinnias. The joy they bring me is immeasurable. I pick a bouquet every few days. They are bursting right now. 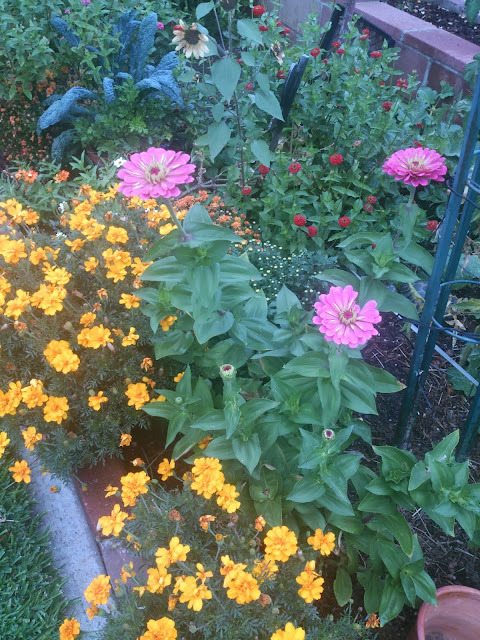 Oh yes, do plant double zinnias next year. Such a happy and cheerful flower! 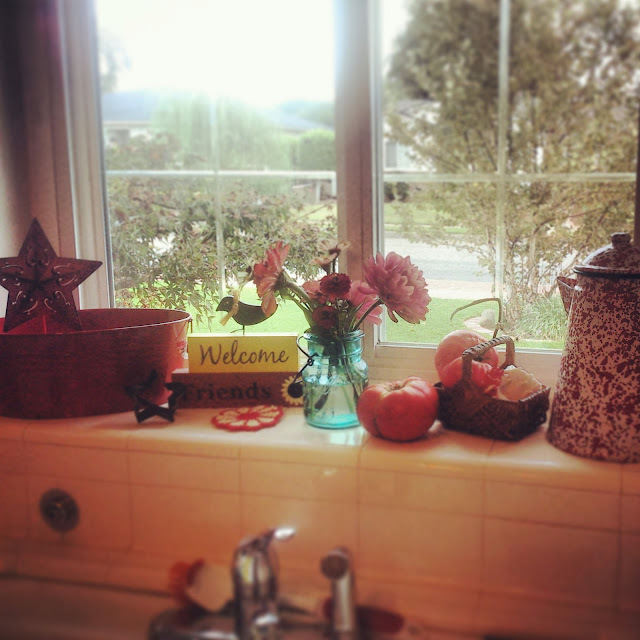 Love your window sill above the kitchen sink. So delightful. I love fresh flowers in my kitchen window. Wish I had some fresh tomatoes. How lucky you are, to have a bumper crop of tomatoes! I can always tell when a garden thrives it is mainly because the one tending it is a worker bee and fusses over it. Yes, it definitely still looks good. The zinnias are lovely. 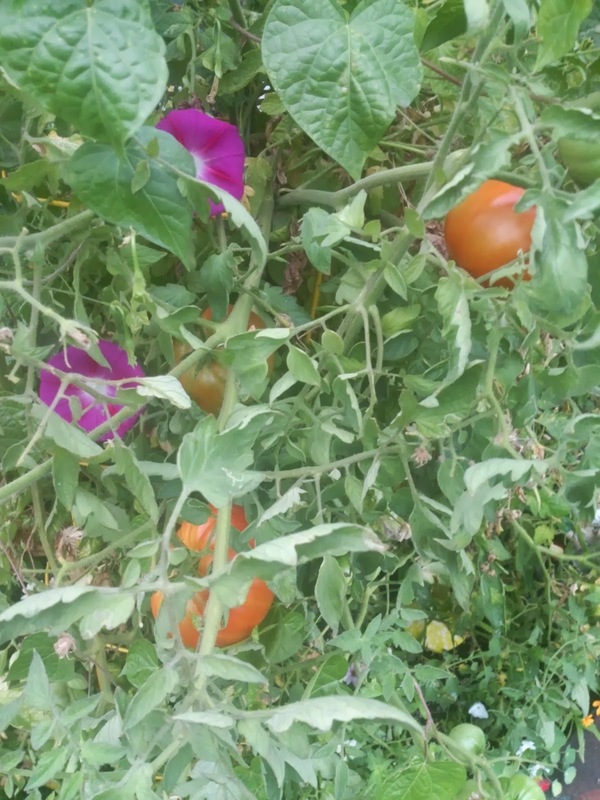 Enjoy your tomatoes, what a great idea to successive plant them. Zinnias are a favorite here. The bees and butterflies go gaga for them! 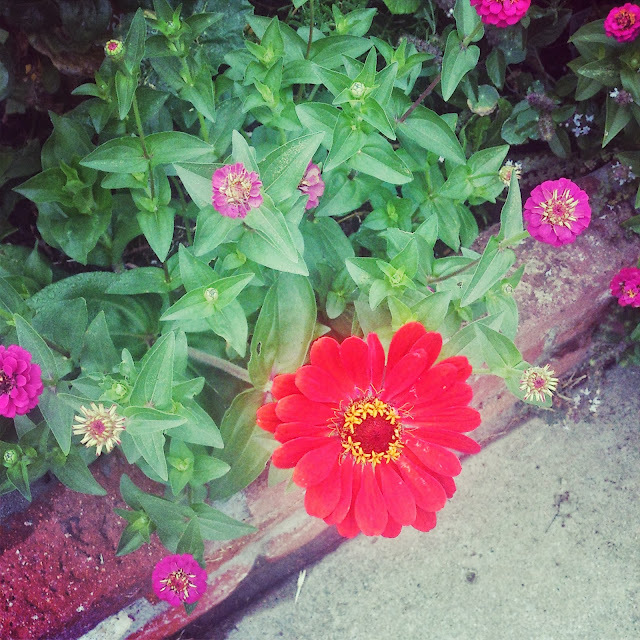 I love your pretty zinnias, Elaine!!! Your windowsill is so charming. I love your kitchen and home. I hope all is going well with y'all this week! What a gorgeous garden! So inspiring.